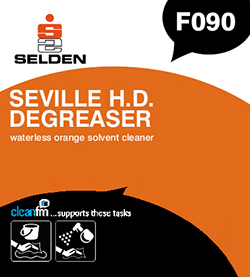 Ideal dip tank cleaner for engine and component degreasing. Refined aliphatic solvent boosted with natural citrus oils. Non emulsifiable low density:- Easily separated from waste water. Cleaning and degreasing machinery, engines, electric motors, engineering components etc. Immerse components in a dip tank. Ideal for use in spray cleaning tanks fitted with recirculation and filtration units. Dry clean components with compressed air. Large surfaces may be sprayed and wiped clean with paper towels or similar. Separate from waste water with a weir type oil trap. NOTE: Product does have a flash point approx. 46°C, avoid its use at elevated temperatures and away from sources of ignition.